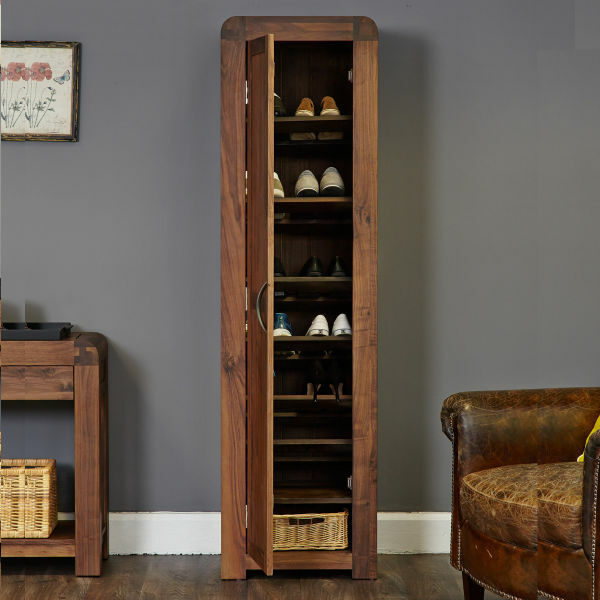 This impressive Shiro walnut shoe cabinet combines both classical design with practical storage and is finished with beautiful antiqued brass drop handles. The double doors open to reveal four storage shelves – perfect for any hall, kitchen or bedroom and creates an impression; in fact there’s probably no finer way to impress a new guest to your home than this exceptional hallway shoe storage unit. 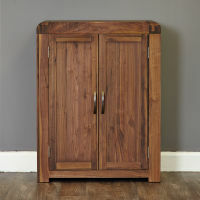 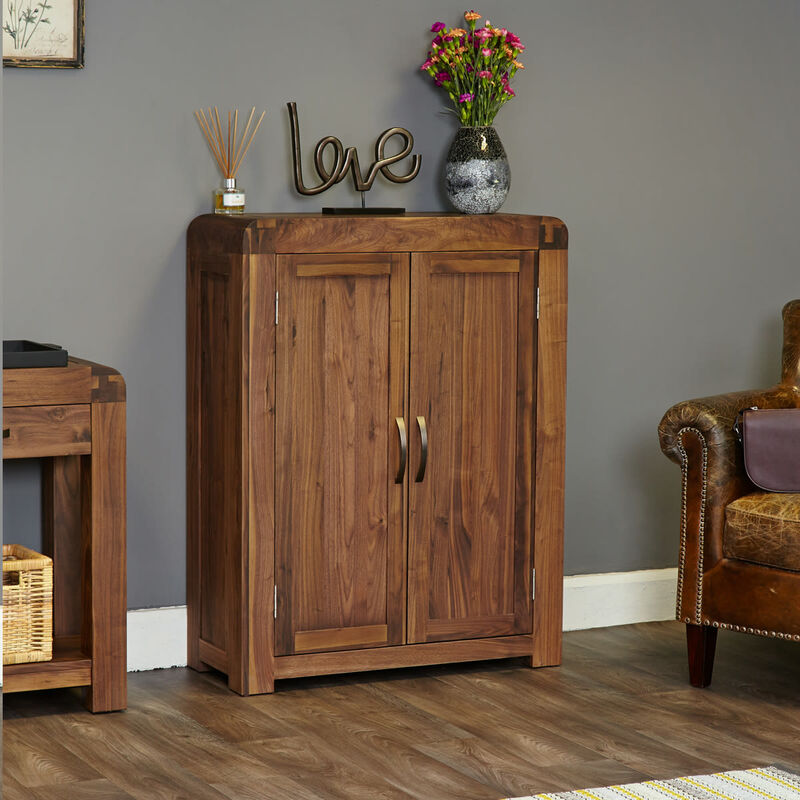 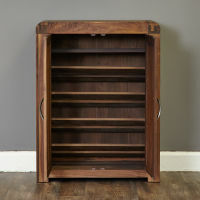 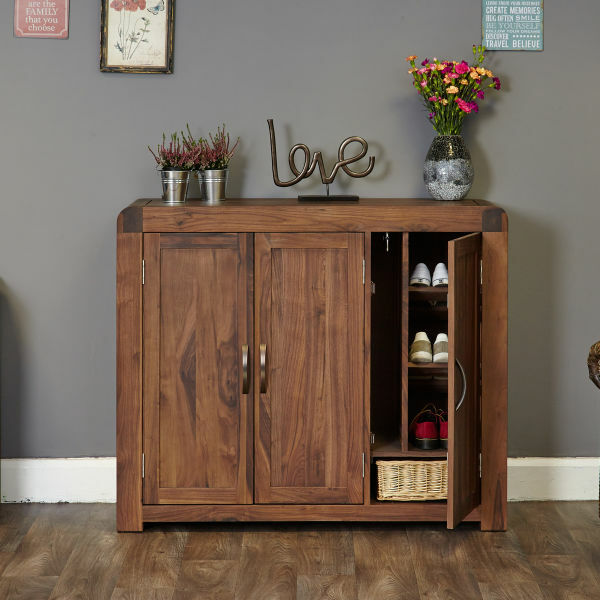 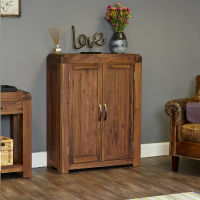 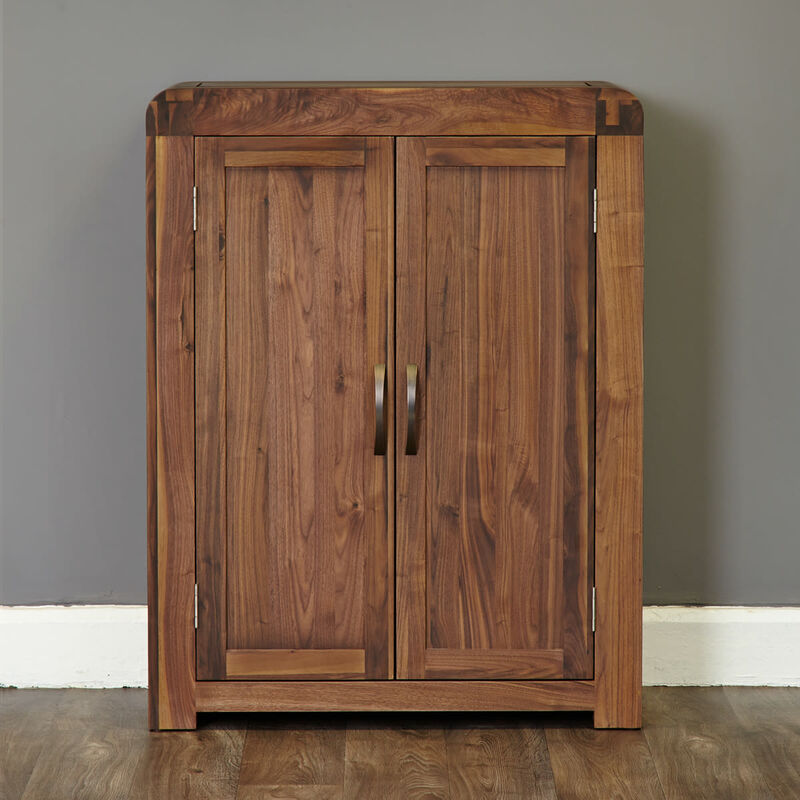 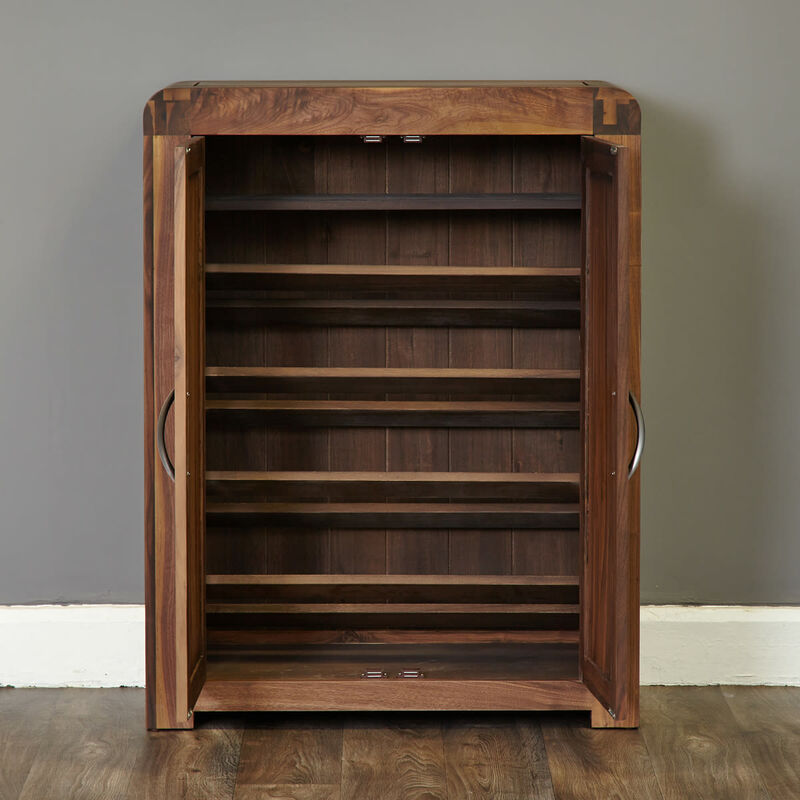 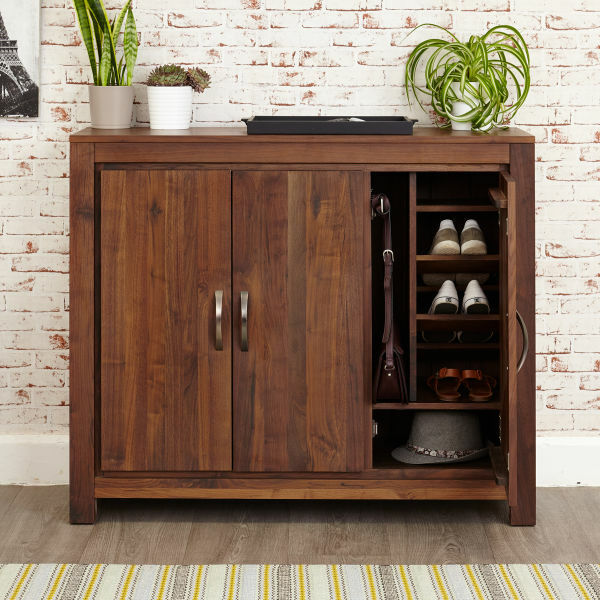 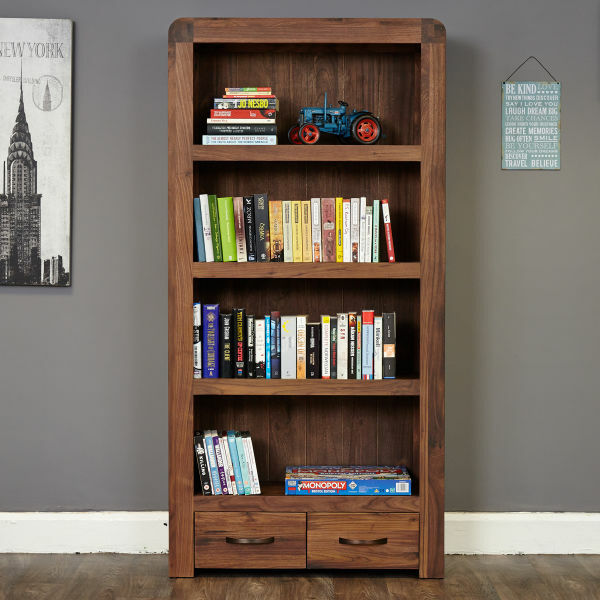 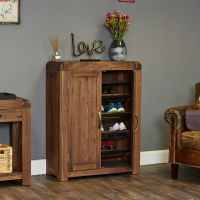 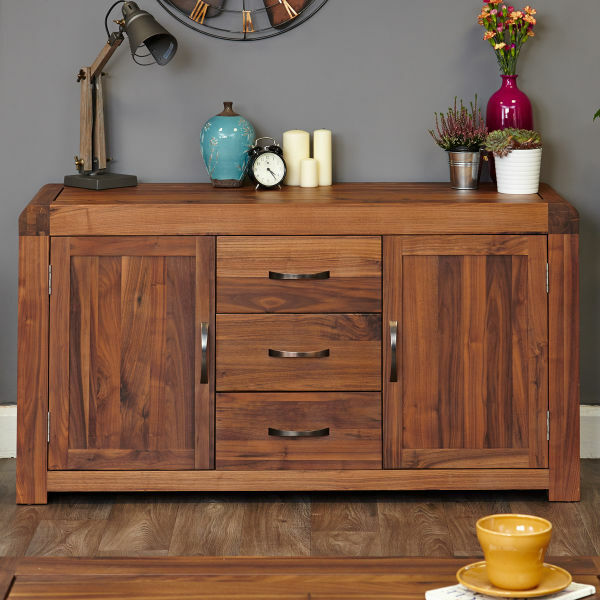 This walnut shoe cabinet will store up to twenty pairs of shoes and comes delivered with nylon feet to protect carpets or wooden floors from any scratches or damage, and as walnut is a very high quality timber with a dense grain, it makes the perfect choice for building stunning and unique furniture - such as this walnut shoe storage unit. 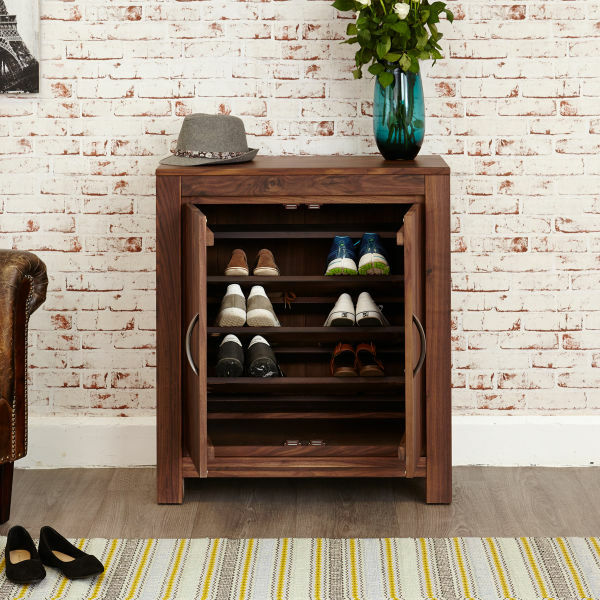 As an alternative, why not consider the alternative Oak Shoe Cabinet ?